Featuring new CIL paint colour names for men such as Midlife Crisis, Brute Force, and Deathstar, the walls of this bathroom have 'masculine' written all over them. Ted Dayton Photography/Beat/colour is one of the more difficult parts of the decorating process, anything that will help consumers choose great paint colours for their decor is a boon. A few weeks ago I was at a local hardware store to get some supplies and noticed a placard on the counter with a pink paint colour swatch on it. The paint colour was called Razor Burn, which made me laugh. Only a man could think of a name like that for a paint colour and that's exactly what today's column is all about. 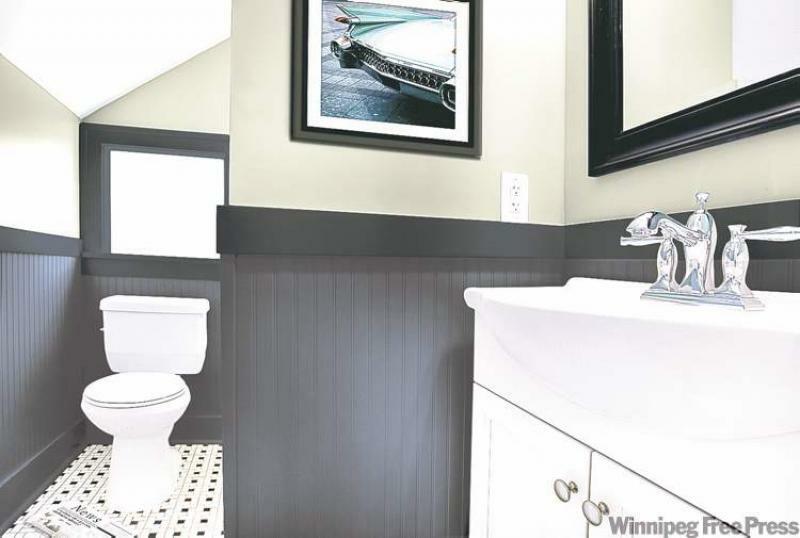 CIL Paints recently launched a paint colour collection in Canada called Ultimate Man Caves. The new collection for men has been created with the help of the public. In August, CIL Paints launched a Facebook contest calling on Canadians to rename existing CIL paint colours for a more masculine audience and more than 15,000 respondents rose to challenge from coast to coast. "When it comes to paint names, it's all about the emotional connection and our research shows that men and women tend to relate to paint names differently," says Alison Goldman, marketing communications manager for CIL Paints. "CIL Paints is excited to take the lead in launching a colour collection designed specifically for men, especially since studies show that while a larger percentage of women tend to choose paint colours for their home, it's often men who give the colours a final nod." Think paint names like Iced Vodka instead of Cloud Nine, Maverick instead of Moonlight Drive, Mo Money instead of Fairytale Green, Five-O'Clock Shadow instead of Plateau Grey, and Beer Time instead of Butterscotch, to name a few. The new CIL Paints brochure -- featuring 20 of the most popular paint colours for men, as determined by both Canadian men and women-- is now being featured in-store alongside CIL's existing display of more than 1,200 colours. The original paint names will continue to be part of the present CIL collection of colours. 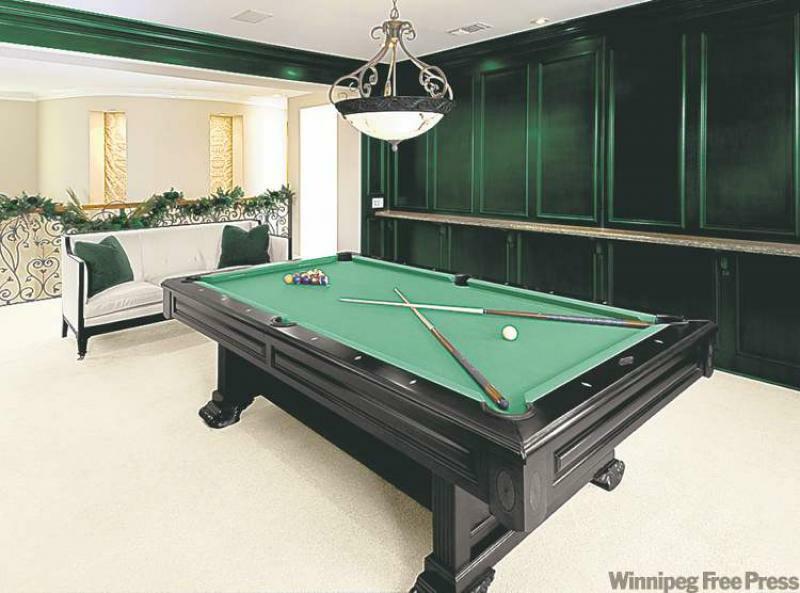 For example, that new names of the colours found in our feature photograph of the games room, such as Mo Money instead of Fairytale Green, Sargeant Major instead of Acadia Gem, and Dirty Socks instead of Lexington Park, will no doubt be more appealing to men. I mean, really, Dirty Socks? You've got to love it! What guy isn't going to brag to his friends about painting his man cave in a colour called Dirty Socks! It's about time men were included in the decorating process. If naming a paint colour from a man's perspective will help seal the deal on a paint colour choice, I'm all for it. Since choosing paint colour is one of the more difficult parts of the decorating process, anything that will help consumers choose great paint colours for their décor is a boon. I like the fact that CIL has not forsaken the original names of the selected colours so that we gals can still have our touchy-feely paint colour names. There definitely is an emotional connection to the names of the paint colours we use. When we find the perfect paint colour, then see that it has a great name which resonates with us, it helps in making our final decision. If you've ever hemmed and hawed for hours over a paint colour you know that finding the right colour is no small feat. When you factor in another person, the job becomes that more difficult. Being able to have one colour with is and hers' names is a great idea. It might even save a few relationships! Imagine the conversation at the paint store on a Saturday afternoon; "How about this colour called Fairytale Green?" asks the wife. "No way I'm painting my games room Fairytale Green", answers the husband. "How about this colour called Mo Money?" It's the same colour, so it's win-win. If you've ever battled with your kids or teens about paint colours for their rooms, perhaps giving your chosen colour a different name would clinch the deal. Instead of Fairytale Green, perhaps something like "Slime' for the kids or Green hair for the teens, for example. Whatever gets the job done. If nothing else, the new colour line for men will help us see things from another perspective, which is always a good thing. Who knows, we might even learn a thing or two about each other in the process.